Tecmo Koei and Omega Force have joined forces to bring another beat-em-up action game in feudal Japan in Samurai Warriors 4-II. The fourth installment boasts an enormous amount of playable characters, so you won’t have a problem finding the character or weapon class that matches your preferred play style. The problem with Samurai Warriors 4, though, is that the game fails to constantly stimulate the gamer throughout its story campaign. The game focuses on the history of all the characters at your disposal. Fortunately, the plot is not imperative. The ‘Story Mode’, or lack thereof, doesn’t offer anything out of the ordinary for the series. Once you unlock access to all the clans after advancing through the game, you’ll have 55 selectable warriors to play around with. 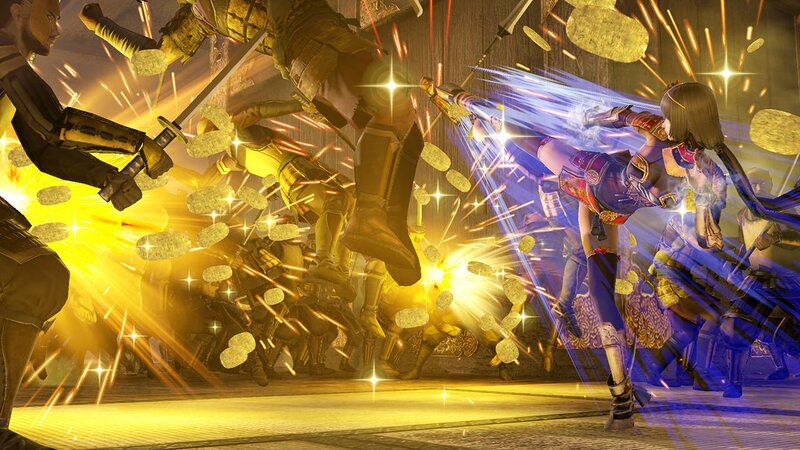 To no surprise, there are quite a few of familiar faces from previous installments that make a return, as well as some new faces such as Munenori Yagyu, Naotora Li., and Takatora Todo. In the single player campaign, you can exchange control between two characters of your choice. If that character is closer to the next mission than your primary, it makes getting to that pesky threat a lot easier. There is also the possibility to call upon a horse to quickly arrive at your next desired location, and having these options makes traversing the map an effortless endeavour. The game becomes a lot more bearable with a second player. It is honestly the best way of tackling the game, and gamers have the option to play locally or online. Having another person to pummel through the game’s big bosses and swarms of dense AI improves the experience exponentially. The mechanics of the Dynasty Warriors series that you have grown to expect from both games remains intact, with a vast amount of mindless enemies flooding your screen that literally stand there waiting for their impending doom. This makes leveling up easy but at the same time, grants no satisfaction. The mission-based gameplay requires players to position themselves to kill important leaders of the rival army in whichever playing field your characters are dropped into. After you visit a few different maps, this tired formula quickly starts to get old. With no complexity or diversity to the missions throughout the campaign, the game fails to entice gamers to push forward. Where most aspects of the game come off as dull, the combat, however, is the game’s strongest selling point. The amount of time spent in combat is of clear intent, and the only way of beating this game is by fully embracing the combat system. You simply won’t get far if you plan to mash buttons to victory, and getting a feel for a few basic combinations will diffuse plenty of rage quits. To eliminate swarms of enemies coupled with clan leaders, character specials are the way to go. Character specials are easy to pull off, but using them effectively is important because it takes a high chain combo to replenish your special meter. Knowing when to execute certain attacks like launchers or particularly counters is pivotal in progressing through the game. When prompted with counters on clan leaders, players have but a second to react or before they’re dealt a devastating blow that could cost them the mission. At first this may cause frustration, but after you master the timing for those encounters the game becomes a breeze. Outside the game’s story component, the game includes a ‘Free Mode’ that basically allows gamers to play on all the maps as the characters of their choice through any mission. With the same missions applying here, it is surely a setback for the mode, but it is fun to go through the entirety of the game with the dynamic duo of your choosing. Another mode used to harness your timing and sense for abilities is Dojo. The training mode essentially gives players the chance to further develop their skill set to hopefully carry over in the main campaign. As for the game’s aesthetic, there’s nothing impressive about the in-game engine. The game looks like it runs on the same engine from two generations ago. With the power of the PlayStation 4, this is inexcusable. Some elements like fire or water look atrocious by today’s game standards. Luckily, the frame rate in the game doesn’t skip a beat. Although the game runs at a crisp frame rate, it isn’t all that impressive. Despite its hundreds of AI on screen, they truthfully aren’t causing much strain on the frame rate by standing in place. Samurai Warriors 4-II isn’t a horrible game by any means but the game just doesn’t quite entice the gamers of today to venture through its trials. I believe a game like this has its crowd, but it lacks polish in several areas for a vast majority. The game’s shortcomings are glaring from a technical and graphical standpoint. With no engaging story, the combat doesn’t have enough around it to justify a purchase. Despite having a huge roster to toy with, the game does a poor job of pulling the gamer in to the idea of playing again. 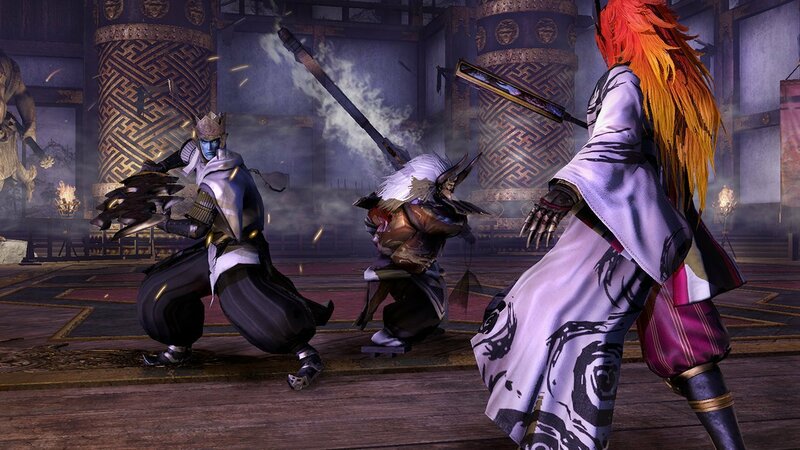 Samurai Warriors has one saving grace about it: its combat—but just that doesn’t cut it. 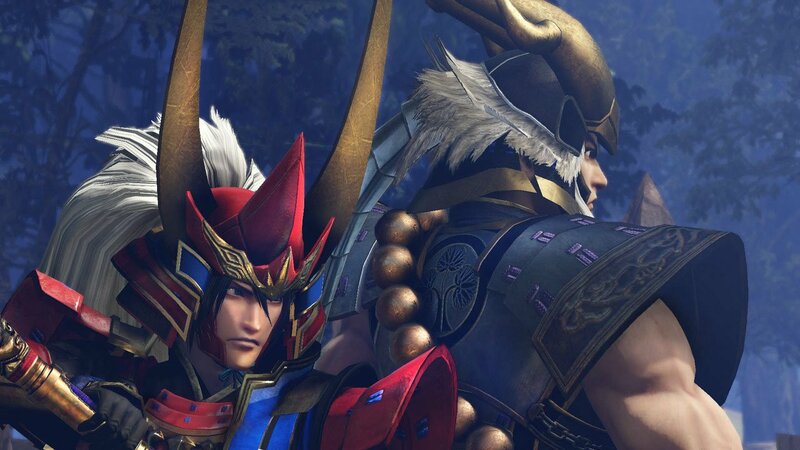 Samurai Warriors 4-II isn’t a horrible game by any means, but the game just doesn’t quite entice the gamers of today to venture through its trials. With no engaging story, the combat doesn’t have enough around it to justify a purchase. The problem with Samurai Warriors 4, though, is that the game fails to constantly stimulate the gamer throughout its story campaign.